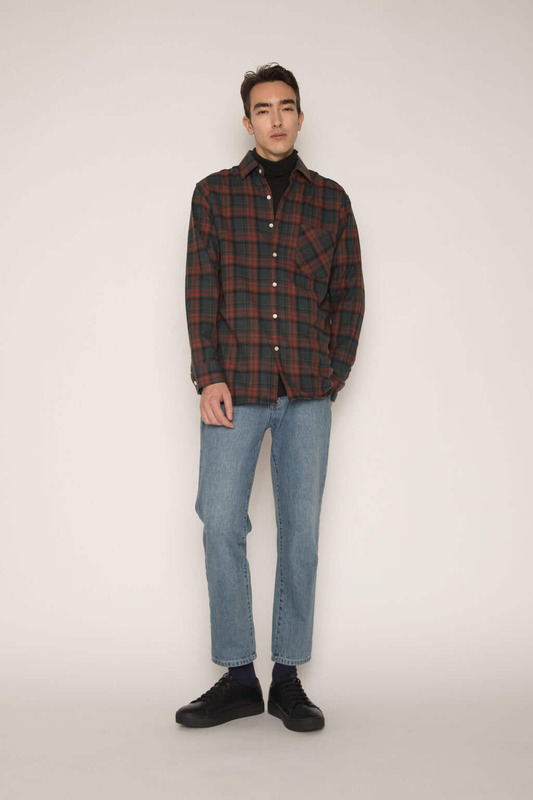 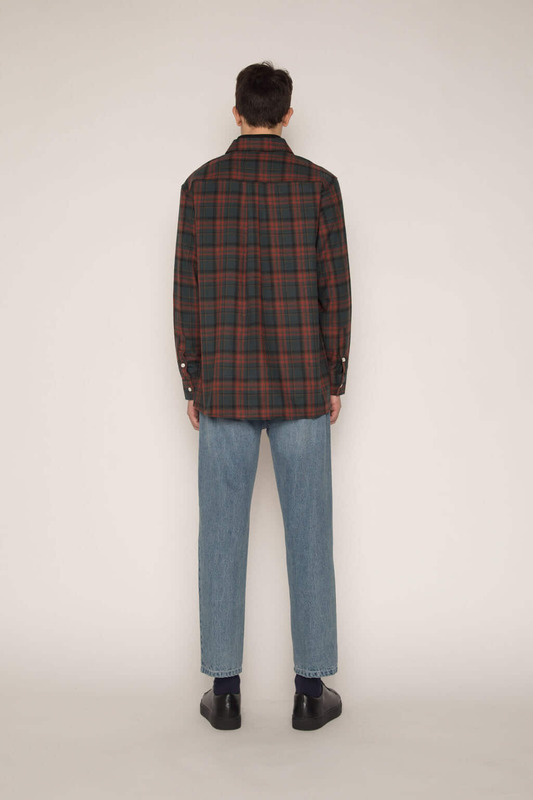 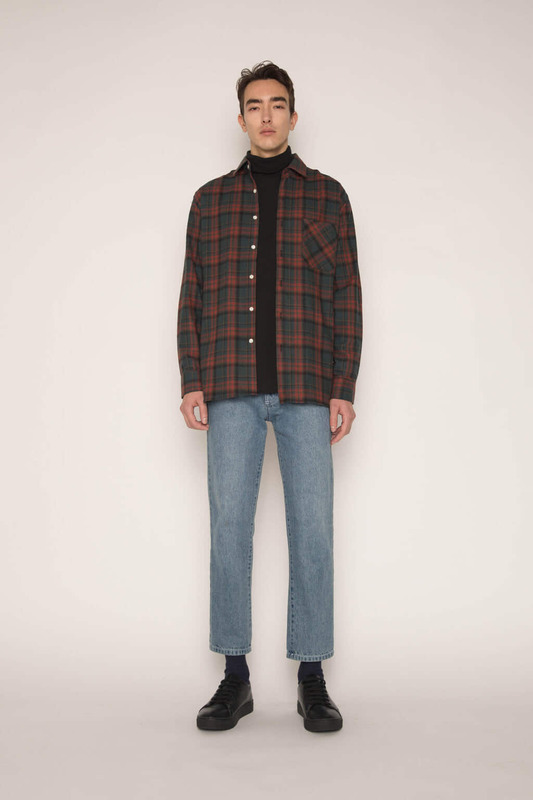 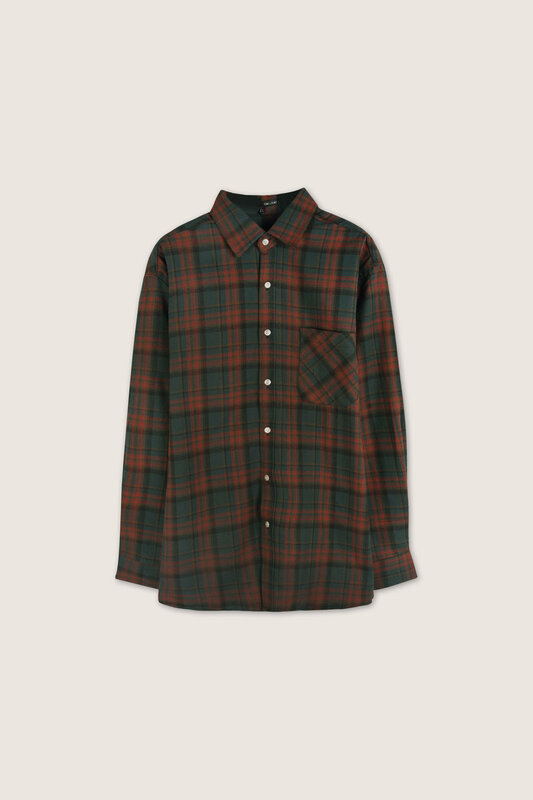 Our classic plaid shirt is made of a soft and lightly brushed cotton blend flannel with less bulk. 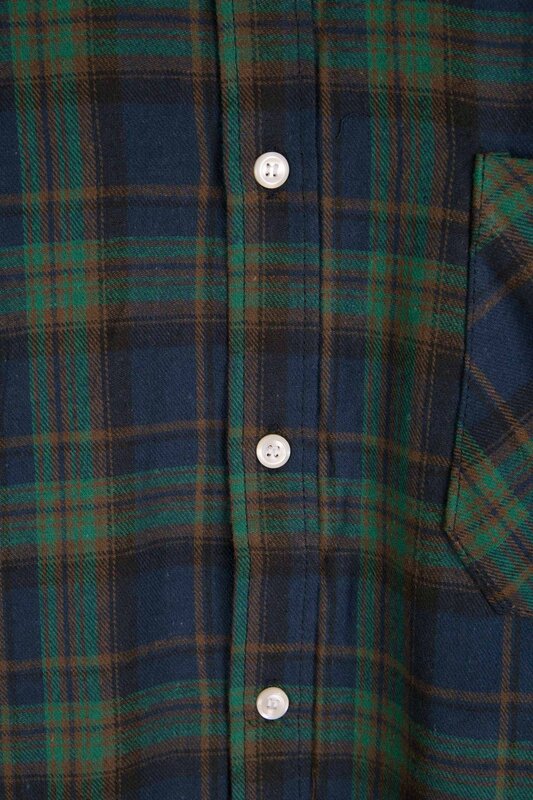 Featuring contrast buttons and a front pocket, this shirt works great on its own or as a layering piece. 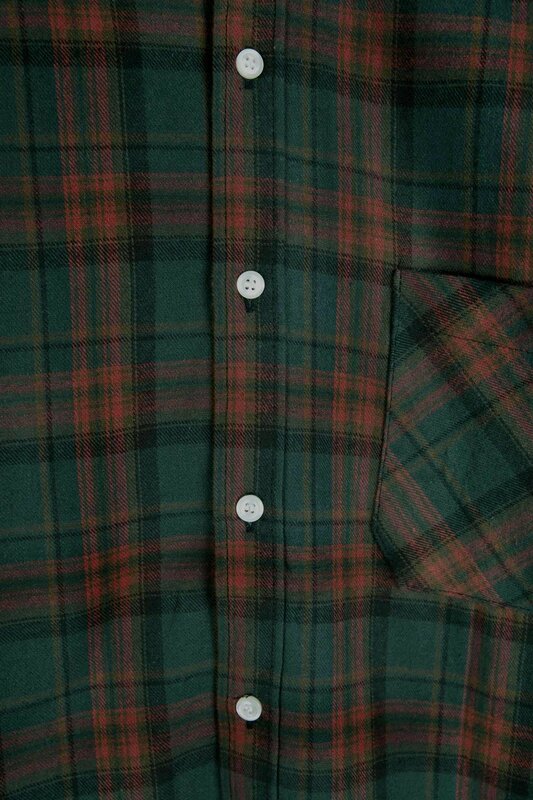 Wear this unbuttoned over a white t-shirt and finish off with a pair of denim and black sneakers for an easy and stylish casual look.